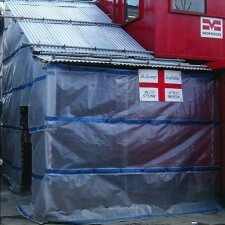 St George Scaffolding, the South East’s scaffolding experts. We cover all aspects of scaffolding from hire to erection. Our services are used by commercial, domestic and industrial clients for all varieties of buildings throughout Sussex and the South East of England. St George Scaffolding spans the complete process, from scaffolding design work to supply, hire and erection, internal ladders and debris netting as well. We specialise in scaffolding buildings with difficult and odd shapes, nothing phases us! Our work is very tidy and safety for our customers is our highest priority. We are extensively experienced in all aspects of scaffolding. We deliver a fast, reliable service with all types of scaffolding, large or small. Our equipment is used all over the South East by customers who demand only the very best work completed to the highest standard. St George Scaffolding specialises in chimney stack access as well as difficult to access buildings and buildings with tricky shapes. All of our work is completed to the highest standard in a professional and safe manner. 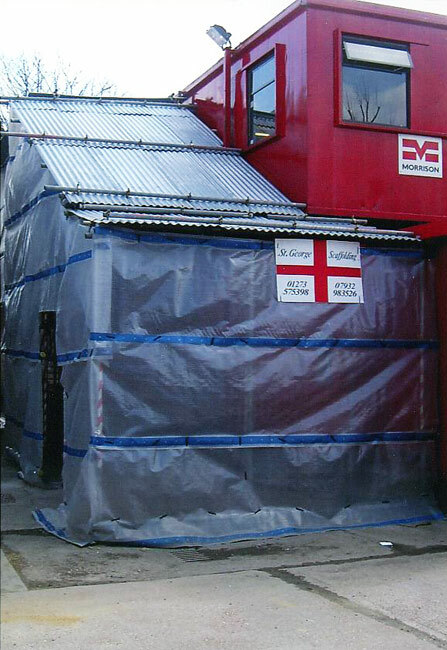 Contact St George Scaffolding for additional information. Our quotes have always been free and we offer discounts between the months of December and February.